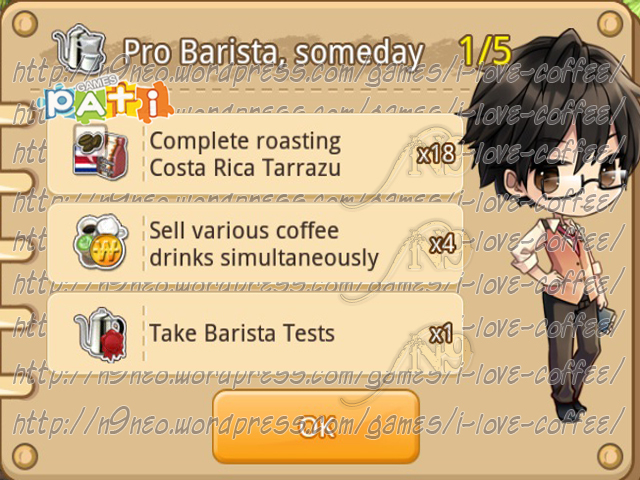 I’ve been having trouble with this quest; stage 4/5, sell various coffee drinks simultaneously. Mine always goes up one then two then back down to zero like I haven’t done it. 😦 is there a trick to it or am I doing something wrong or could this be some sort of bug? 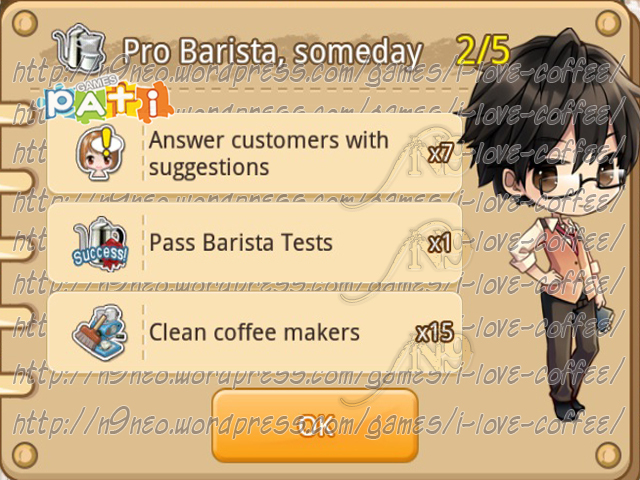 I don’t think it’s a bug, just sell various type of coffee simultaneously. Try having different coffee per coffee maker.